Nowadays everything is possible when you have enough money in your hand. But this cannot turn out good if you get paid traffic on your blogs. This may work for you in the short run but definitely not in long run monetarily. Well, there are some of the most amazing ways or you can say expert tips for increasing your blog traffic for free. Many of the times when people publish their blogs, they expect a lot of comments and sharing but when you have the worst time or you have low traffic on your blogs, it turns out very depressing for a blogger. You just need to make use of some start tactic which can bring in a significant effect on your blogs. All it requires a lot of dedication, hard work, and passion for making your blog a popular one and successful. There are some tips which can definitely help you and can make things simpler and better for you. These tips can help you in grabbing organic web traffic on your blogs for free. As you can see in the above picture, you need to select one or a few of your target audience on which you need to focus a lot. In case you are running a beauty blog, then your target audience can generally be girls, women, college going girls, working class, graduates and others. On the other hand, if you are running an educational blog, then your targeted audience can be graduates or students. Thus, defining your target audience is essential for all. Similarly, you need to publish some of the stories which these audiences can relate to. You must talk about the benefits of good and services which can be helpful for them. This can largely help you in grabbing the attention of your target audience in less time. The designing of your blog really matters. If you will have a clear and fine designing pattern, people will surely appreciate it and will keep on turning to your blog site every time. Similarly, you can also get a chance to be mentioned on people’s websites or blogs as a great example for right blog designing. You don’t have to be an efficient developer or web designer to get an improved blog site, you can make use of different themes as per your blog posts to get the great attention of every visitor. In the image above, you can find four different themes which a blogger has used. Similarly, if you are using WordPress, then you are lucky enough as you can find lots of impressive paid and free themes. All of them are fantastic and can generate high-end web traffic to your blogs. For more information, you can also read a complete guide to install aneeq free website theme. The above picture is completely true. It fits well to the statement that one must have a short, crisp and attractive headline to get attention. People usually don’t have much time to read whole blog post until and unless they find an alluring headline which can convince them to read more. Out of 10 people, only 8 will read the blog headline and they will immediately decide as for whether they need to continue reading your post or should skip. If you will write a boring and irrelevant headline, then it will degrade your goodwill and will not assist you in getting good web traffic. Thus, one must spend their good time writing of blog headlines. Work on better understanding all your readers. Come out with a worthy headline for making your article worth reading. You must make use of incredible, fun and unique adjectives; make use of facts, lessons and tactics posts some benefits related headline because this will only convince them to read your full post. A major reason why top notch blog sites get high-end web traffic is only that of their quality rated content. Yes, if you will also start writing the articles which are helpful to your readers and can engage your audience, then they will start enjoying your posted content and will wait for your future updates. Most of the search engines like Google is also after the high quality of content and it places quality articles on top of SEO results for maximum visibility. This is the reason, quality is the foremost thing which you must keep it in your mind while jotting down your articles. Similarly, defining keywords for search engine optimization can also help in generating good traffic for your blogs. 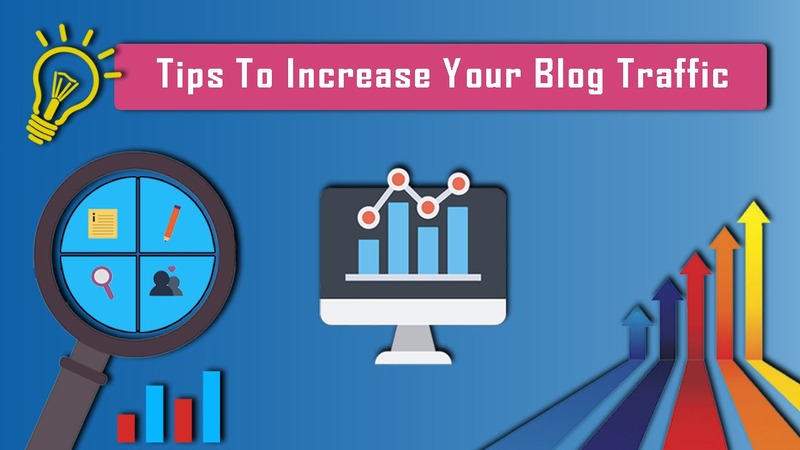 You need to pin down all the ideas and for getting the high-end value of your blog content, you must target few keywords which customers around generally search. Look out for the questions or phrases they use most of the times. As you can see in the above image, the long tail keywords hold the high conversion probability as compared to the head terms or torso terms. The long tail keywords are one which includes 4+ keywords and this can improve your chances of better web traffic. You must perform a keyword research before selection of the final one. Understand what your target audience look out for and make sure that you are completely focused towards it only. Having right keywords can naturally boost up your blog post in terms of SEO as well. There are some of the popular experts that largely suggest all the bloggers to keep on sharing the posts after a short interval of time. This can improve your chances of great visibility one or the other time. It is suggested to share your content on different social media sites to get it maximum attention from people around. As you can view in the image above, it is requesting to share post again and on a different platform which includes Facebook, messenger, twitter, emails, Pinterest and others. In one way or the other, your posts will get the visibility and sharing will never let your target audience forget about your existence. Publish anything on your blog and then share the same on all your social media channels immediately. The ones, who miss your first communication, share it again after a short span of time. Posting content multiple numbers of times can double your amount of traffic. All these tips are handy and you don’t have to be a professional to gain maximum visibility on your blog site. Even if you are a beginner, you can grab a great amount of web traffic on your site and can mark your existence in the digital world. Try out these expert favorite tips today and enjoy high-end visibility.